A traditional LPZ conveyor is ideal for elevation changes in some facilities, but other times its footprint is too large for what the space allows. A recent customer faced this problem when they needed to move product between conveyors, but the area wouldn’t work for a regular Z-frame conveyor due to a machine being in the way. In order to move the product around the machinery, Dorner developed a 3200 Series Modular Belt LPZ conveyor that reverses direction at the second knuckle. This allowed the product to travel up with the cleats and fall against a ramp that holds them in place on the inverse incline. 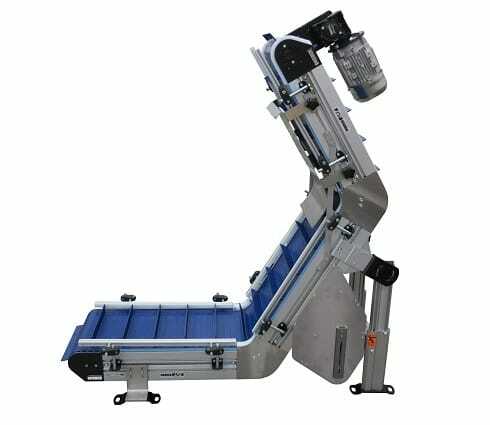 Learn more about the 3200 Series Conveyors.